With the news of its bankruptcy filing still reverberating in the business press, I drove down to my local Sears, in Brunswick, Maine. Even though it's the only department store within 45 miles of my home, I haven’t been inside since 2008, when I fended off a desperate teenage clothing emergency. And in others, it’s jammed with items everybody needs but nobody wants to leave the house for: vacuum cleaner bags, 50% off Kenmore microwaves and a carousel of DieHard batteries. “Aha,” I think to myself. “Double AAs. We definitely need those.” I pluck them off the rack and keep wandering, past a mostly empty toy department and tables of costume jewelry shoved into the underwear aisles. A large display rack for Deerfoam slippers, completely devoid of slippers, blocks the path into women’s jeans. “Who knew Gloria Vanderbilt was still alive?,” I think, as I find myself looking at row after row of marked-down cardigans in Juniors. Much of the press coverage about Sears’ woes compares it to other recent bankruptcy casualties, like Toys R Us, or the decline of names like Lord & Taylor. Inevitably, pundits blame Amazon. Don’t believe a word of it. 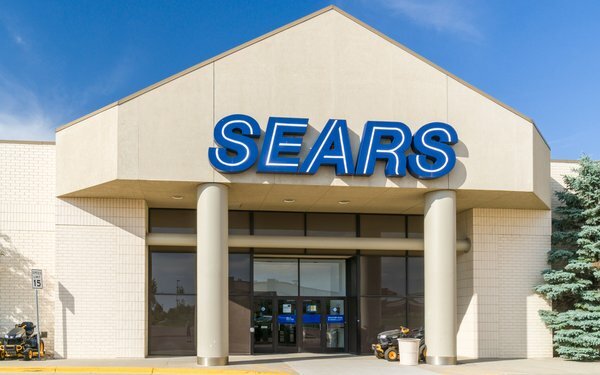 Sears has been circling the drain for years now, systematically weakened by owner Eddie Lampert, the hedge-fund manager who bought the bankrupt Kmart in 2003, then merged it with Sears in 2005. He’s this story’s villain, and to say he’s run Sears into the ground is an understatement almost as big as his 288-foot-yacht. Sears Holdings has lost $11 billion in the last seven years. I’m not saying there haven’t been occasional bright spots, little glimmers that this Middle American touchstone might shine again. I recently stumbled across an interview I did with a Kmart CMO back in 2004, who -- with no hint of sarcasm -- told me his mission was to make that brand stand for quality. There were some smart marketing hires here, a good merchandising call or two there, some really interesting (and early!) ideas about in-store pickup. But every move Sears made has been buried under a heap of Lampert’s Wall Street lunacy: It didn’t matter that sales fell every quarter, or that Americans like me would rather drive an hour to a lowbrow Macy’s then set foot in dismal stores that time had forgotten. It was all about the real estate, he told investors, a portfolio vast enough to make up for quarter after quarter of plummeting sales. Systematically, Lampert stripped the company of the heart and soul that made it Sears, selling Craftsman, the most trusted tool brand in the country, in 2016, then offering DieHard Batteries and Kenmore Appliances up for sale in 2016. I’d also like to point out that I am not a snob: I’m the kind of consumer who gets more excited about tire rotation, marked-down dish towels and three-for-five dollars sports socks than most. I can say that in rural America, where there are no other choices for fashion, a gal can do OK in a Kmart: I have a favorite purple turtleneck I scored in Allegheny, Pa., and a pair of adorable yellow pajamas I picked up in Hamilton, Mt. But the point to remember about Sears is that there is no point: Everything it sells can be found somewhere else, someplace that isn’t soul-crushingly bleak. Today, this store, one of the “lucky” ones that isn’t closing, is a mausoleum. A tiny “Now Hiring!” table, covered in cheesy red, white and blue, stands all by itself in a sea of mattresses. I ask an associate about the bankruptcy and his job. “We’re safe for now,” he says, looking unsure. I'm hoping he isn’t much of a numbers guy, this young man, and that vendors and investors don’t look too closely, either, lest they have heart failure. Sears Holdings reportedly has somewhere between $1 billion and $10 billion in assets and between $10 billion and $50 billion in liabilities. Lampert is doubtless sleeping well. Because his hedge fund has been loaning money to Sears as a secured creditor, his repayments get a higher priority. I go to pay for my batteries, and suddenly, all nine people in the store -- almost all older than Bernie Sanders -- are on line at the one register that’s open. It’s already been a long morning, and I’m not waiting around for the final act. I set my batteries down on a carousel of cheap gloves and walk out. So long, Sears. Any convenience, charm or character you once had left this store decades ago.